Every new year many have new resolutions. Unfortunately, you are feeling particularly unmotivated and out of shape after the holidays. Magazine covers promise quick and easy results with a new celebrity detox diet. Everywhere you look someone is drinking green smoothies and ‘detoxing’. 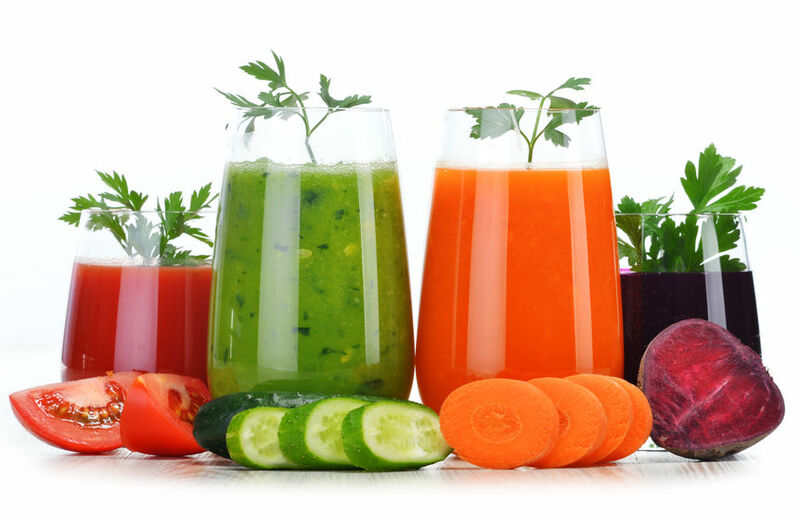 These detox diets all make amazing claims involving being cleansed, free from toxins and best of all helping you to lose weight. It is quite tempting to try any one of these diets, after all, it can only make you healthier, right? We are here to ask a few questions and get to the bottom of exactly what a detox diet is, whether it is dangerous and if should you be taking part in one. Detoxification has a few meanings. The first one is related to being addicted to a substance like alcohol or a drug and going through a process to free the person from that addiction. The second meaning is more of a broad-based meaning, simply the process of rendering a harmful poison, chemical or toxin no longer harmful (1). In the context of a dietary detoxification, the meaning is slightly different. A detoxification diet is a diet, which is usually short in duration, with the intention of cleaning out or purifying the body of toxins (2). Some of the diets involve drinking various fruit and/or vegetable juices or fasting for a set amount of time. Others include cutting out certain food groups and going out and buying ingredients you have never heard of. More extreme versions even encourage enemas or even colonic irrigation. An interesting common thread amongst most of these detox diets and the claims that they make is that they all speak about toxins and how it is important to rid your body of them. The toxins themselves are not named, and if we look at the science, it is almost impossible to find any concrete proof that they are there, to begin with. There is no evidence that any dietary intervention will speed up or improve our normal metabolic processes that already eliminate waste products from our body. Our bodies are designed to ‘cleanse’ itself, and it is pretty good at it (3). Our body is an incredible machine, complete with perfectly functioning filters and organs that ensure that our blood is cleaned, or detoxified or cleansed every second that we are alive (4). Don’t believe us? Well, think of alcohol for one. Alcohol is essentially a poison or a toxin, which is why we feel ‘tipsy’ or ‘drunk’ when we drink. If we didn’t have an effective system to clean out the toxins, alcohol would do more permanent and severe damage. Our liver processes and neutralises the alcohol and ensure that it is then passed out of the body by the kidney (5). You know that hangover you feel the next morning after a big night? That is the side effect of the liver doing its job and ‘detoxing’ the body (6). Next up we have the kidney. Our kidneys are responsible for filtering our blood, to ensure that it is free from toxins and waste products. Most drug testing is done by testing urine as the kidneys effectively transport drugs out of our body. The kidneys maintain a proper balance in the body by making sure we have enough water in our system as well as clearing out excess minerals like sodium if our levels are too high. Another organ which is extremely important for detoxification and the elimination of toxins is the skin. The skin gets rid of waste products like urea and sodium through the process of sweating (7). 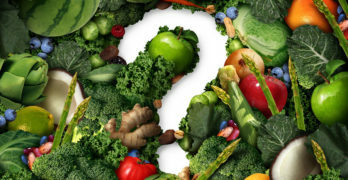 Are There any Benefits to Following a Detox Diet? There are very few studies available which conclusively show that ‘detoxing’ via dietary intervention has any benefits (8). Weight loss: Yes, you will most probably lose weight following a detox diet. Do not be fooled however as the weight loss is not due to the magic ingredients in the diet. Instead, it is most possibly due to a drastic cut in calories as well as not consuming any calorie dense junk foods (9). Increased intake of nutritious fruits and vegetables: Well this is certainly a benefit, but the truth is that you do not need to be detoxing to increase your intake of nutrient-rich fruit and vegetables intentionally. Increased energy: Some people report feeling incredible and energetic whilst they are detoxing. We can easily attribute the placebo effect as there is no scientific explanation for it. Feeling less bloated with a flatter stomach: This one is easy to explain as in most cases you will be consuming less than half of your usual calorie intake. The cost: Whether you pay the money to follow a juice cleanse, or go it alone and buy the ingredients needed the chances are that detoxifying can end up being quite costly. Tiredness, lethargy and headaches: Headaches can be linked to caffeine withdrawals, calorie restriction and hunger. Depending on how long the diet continues for this period can be hell on earth with very little gain. Rebound weight gain: Remember the weight you lost? The sad truth is that most of the time any weight lost while detoxing will simply be put straight back on once you go back to old habits. Unnecessary and dangerous extreme measures: Following a detox diet is one thing but going that step further and taking part in extensive fasting or enemas and colonic irrigation can have grave consequences including hospitalisation and dehydration (10). While it may be tempting to follow a new detox diet for fast weight loss, it is important to realise that it is better for your body and your health to make longer lasting changes to your lifestyle instead. Speak to you doctor before embarking on any drastic detox diets, especially if you are on any medication or under care for a condition.